Here’s a nice contemporary space we had the privilage of working on. 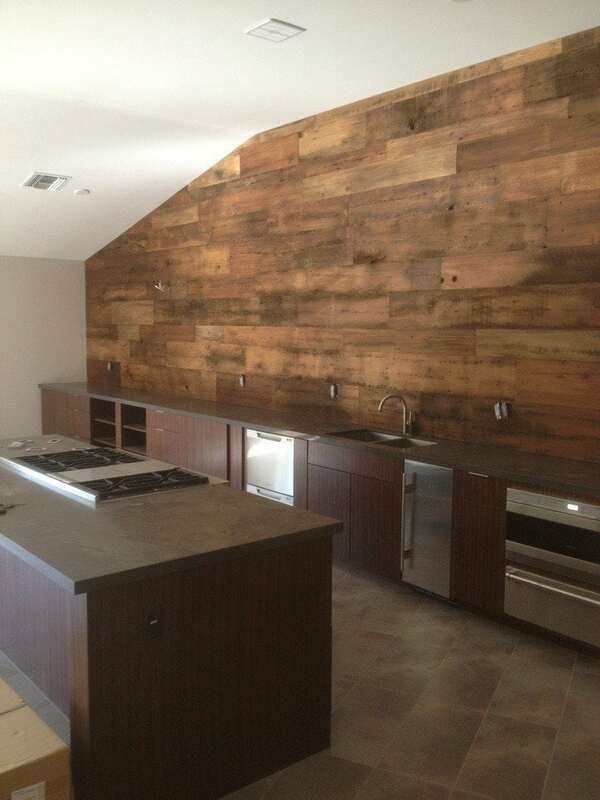 This reclaimed brown attic board we had at the yard was milled to the customer’s specifications and installed by us. We also applied a finish. Simple, organic, and beautiful. We love wood walls!